HiRISE monitoring has shown that gully formation on Mars occurs in winter and early spring in times and places with frost on the ground. This image was acquired in late winter, and the frost or ice (visible as white areas) persists only on the south-facing slopes that have received little direct sunlight to this date. Ridges between gully alcoves that get more light are reddish and largely free of frost. New gully activity isn't obvious in this image. There may be a delicate balance: in some years the frost (up to approximately 1 meter thick) will trigger avalanches, but not in most years. This frost consist of mostly carbon dioxide (dry ice), but includes small amounts of water ice as well. 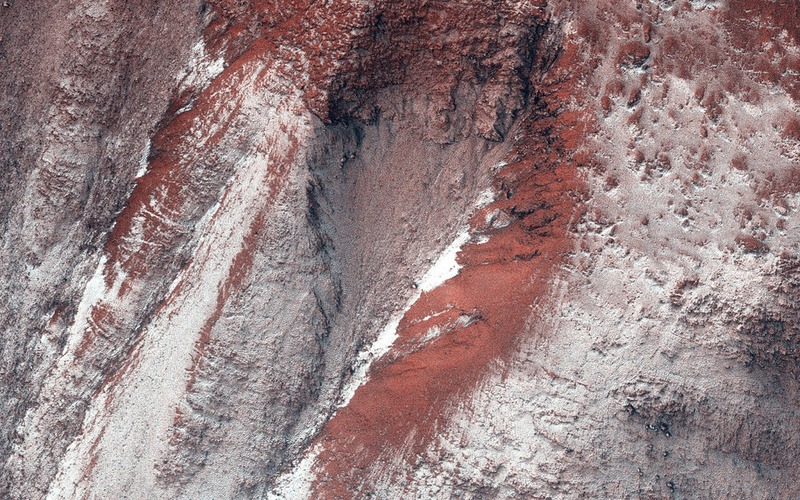 Note: This image is located in the northern part of Argyre Planitia, just north of Hooke Crater. 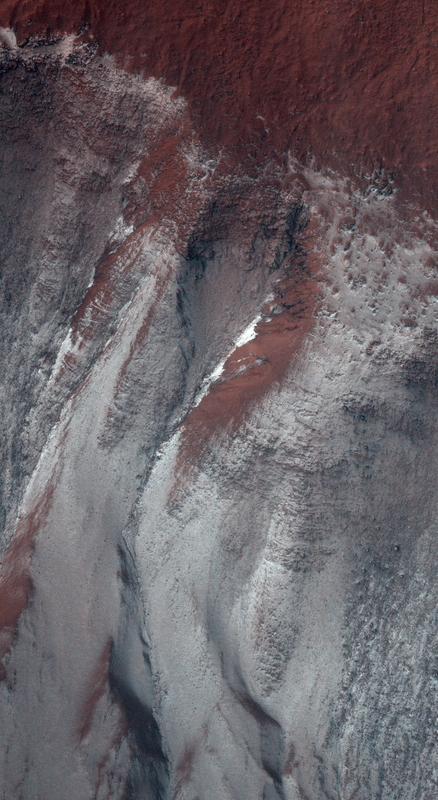 For more information, see PIA18634: Frosty Gullies.